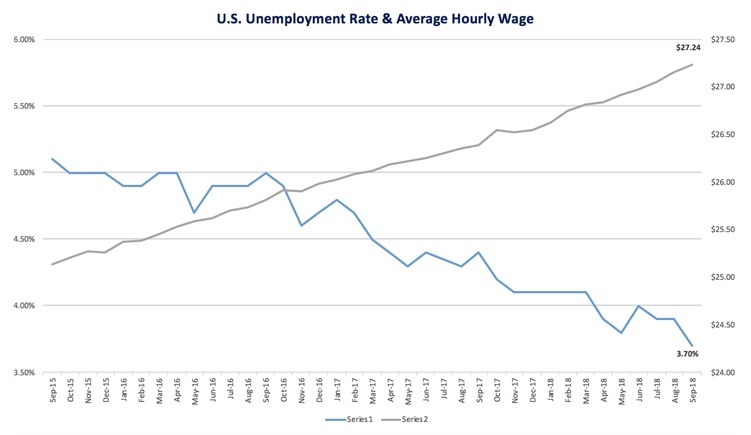 What is U.S. Unemployment Rate for November 2018? 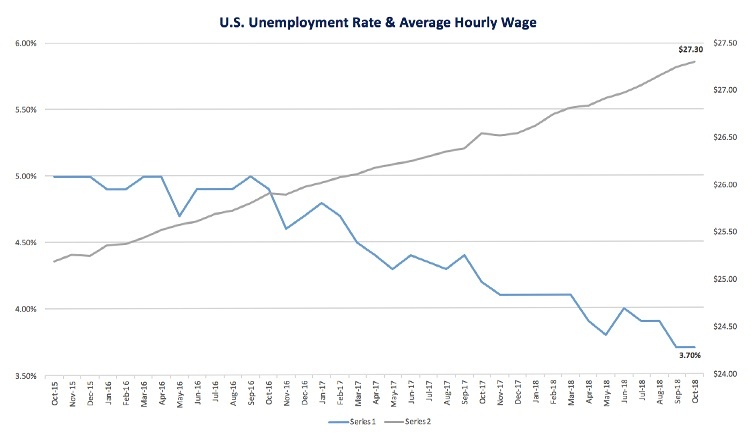 According to the U.S. Bureau of Labor Statistics (BLS) the U.S. national unemployment rate (seasonally adjusted) for November 2018 is 3.7%, no change from the previous three months. What is U.S. Unemployment Rate for October 2018? 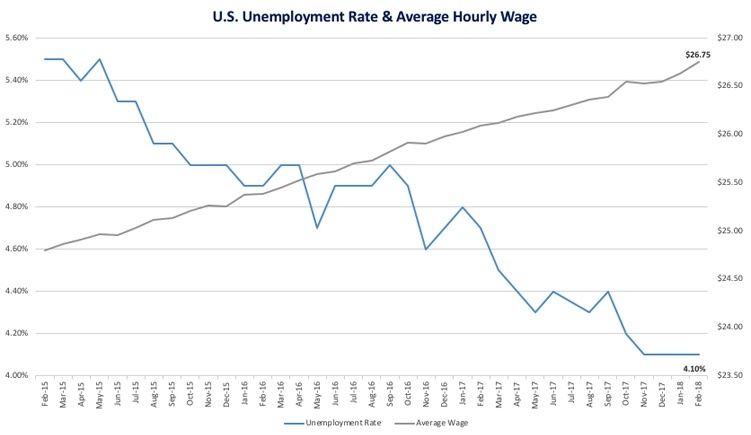 According to the U.S. Bureau of Labor Statistics (BLS) the U.S. national unemployment rate (seasonally adjusted) for October 2018 is 3.7%, no change from the previous month. 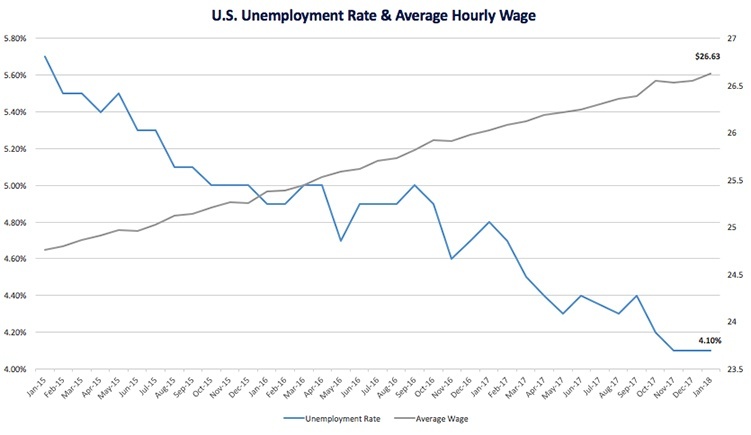 What is U.S. Unemployment Rate for September 2018? According to the U.S. Bureau of Labor Statistics (BLS) the U.S. national unemployment rate (seasonally adjusted) for September 2018 is 3.7%. 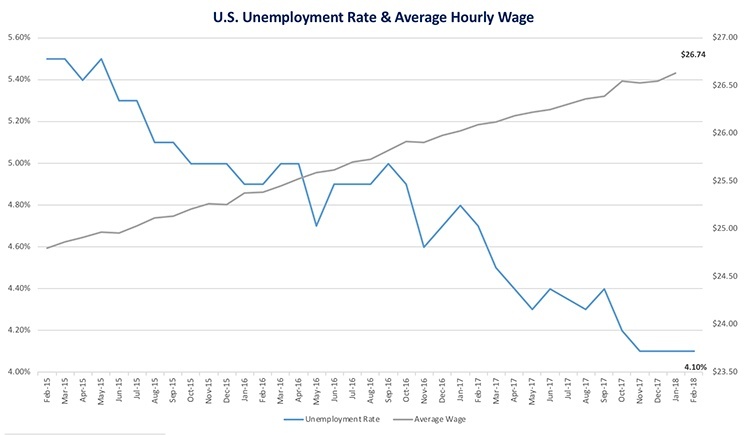 What is U.S. Unemployment Rate for August 2018?According to the U.S. Bureau of Labor Statistics (BLS) the U.S. national unemployment rate (seasonally adjusted) for August 2018 is 3.9%, no change from last month. 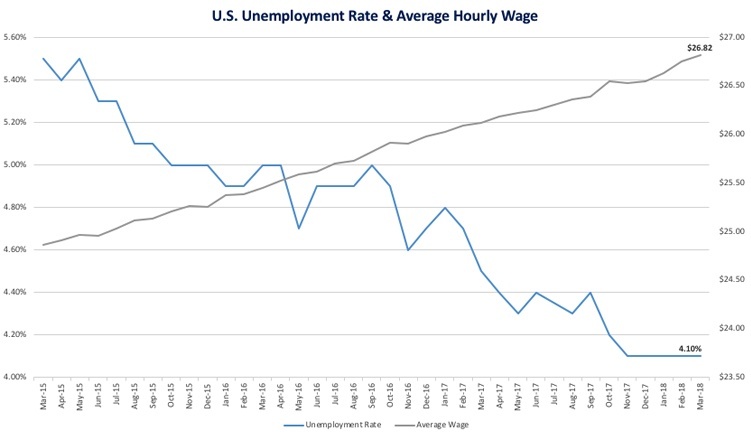 What is U.S. Unemployment Rate for July 2018?According to the U.S. Bureau of Labor Statistics (BLS) the U.S. national unemployment rate (seasonally adjusted) for July 2018 was 3.8% down 0.02% from last month. 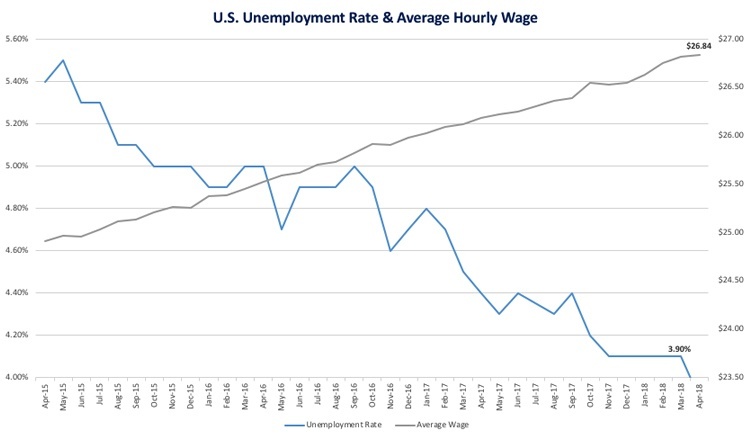 What is U.S. Unemployment Rate for June 2018?According to the U.S. Bureau of Labor Statistics (BLS), the U.S. national unemployment rate (seasonally adjusted) for June 2018 was 4.0%, up 0.02% from last month. This is the first time the rate has moved up since July 2017. 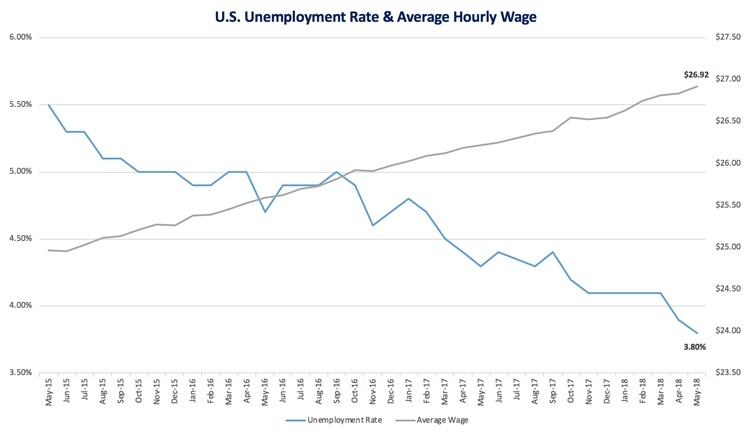 What is U.S. Unemployment Rate for May 2018?According to the U.S. Bureau of Labor Statistics (BLS), the U.S. national unemployment rate (seasonally adjusted) for May 2018 was 3.8%. This is down 0.1% from last month, and down a total of 0.3% for the first five months of the year. 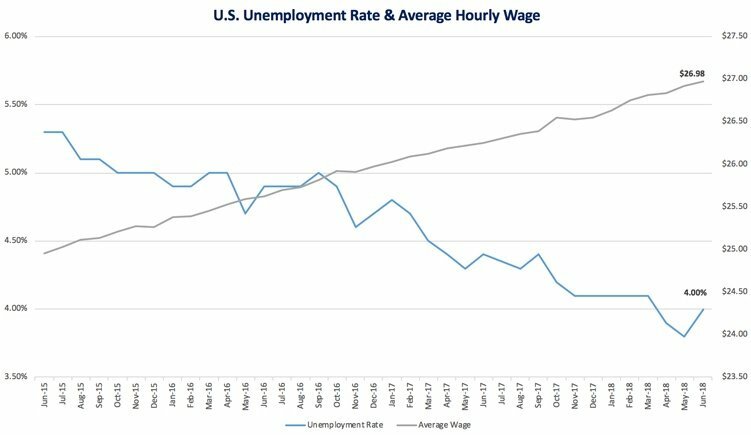 What is the U.S. Unemployment Rate for April 2018? According to the U.S. Bureau of Labor Statistics (BLS), the U.S. national unemployment rate (seasonally adjusted) for April 2018 was 3.9%. This is down 0.2% from March 2018 following no change since October 2017. 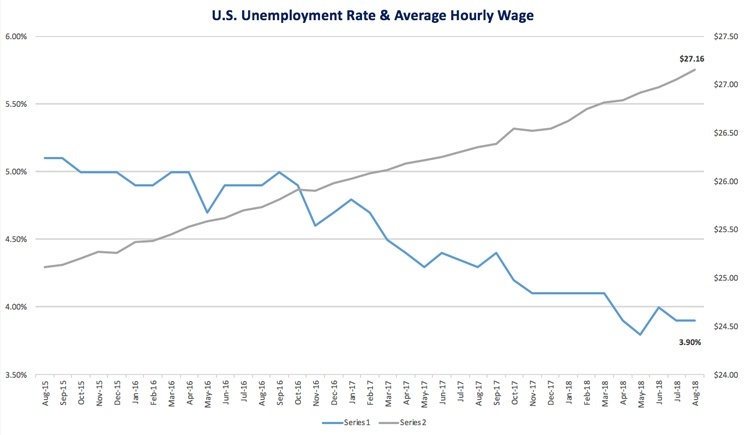 What is U.S. Unemployment Rate for March 2018?According to the U.S. Bureau of Labor Statistics (BLS), the U.S. national unemployment rate (seasonally adjusted) for March 2018 held steady at 4.1%, reflecting no change since October 2017. The number of unemployed persons held steady at 6.6..
What is U.S. Unemployment Rate for February 2018?According to the U.S. Bureau of Labor Statistics (BLS), the U.S. national unemployment rate (seasonally adjusted) for February 2018 was 4.1%. This represents no change since October 2017. What is U.S. Unemployment Rate for January 2018? According to the U.S. Bureau of Labor Statistics (BLS), the U.S. national unemployment rate (seasonally adjusted) for January 2018 was 4.1%. This represents no change since . 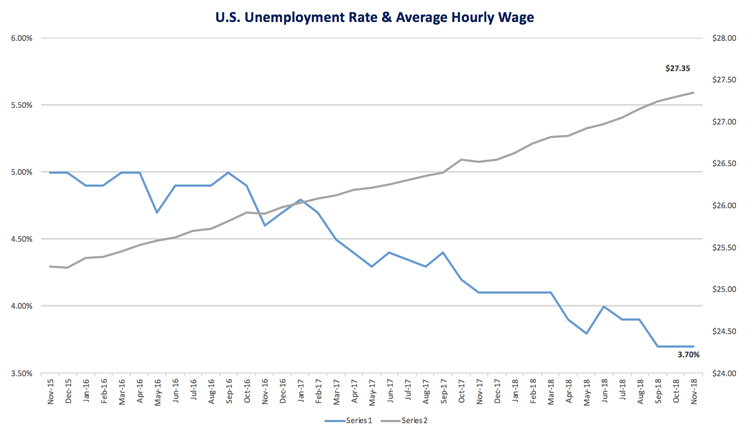 What is U.S. Unemployment Rate for December 2017?According to the U.S. Bureau of Labor Statistics (BLS) the U.S. national unemployment rate (seasonally adjusted) for December 2017 was 4.1%. This represents no change for the last quarter, but is an overall decrease of 0.7 from the beginning of..